It’s time to get our ideas together for the next class debate. The motion is ‘That this house believes that school uniforms should be banned’. What do you think? Remember to give reasons for your opinion. In today’s Irish Times (Saturday 26th November 2011), there is a supplement detailing books that are ‘must-reads’ for teenagers. They are not numbered or put into age categories but it is interesting to note that the first book they have mentioned is ‘Nineteen Eighty-Four’ by George Orwell – our College book for November. The supplement also includes tips for aspiring writers. Try to get hold of it! Answering the following questions will provide you with a comprehensive resource on the theme of friendship in ‘Inside I’m Dancing’ by Damien O’Donnell. What is Michael’s initial reaction to Rory? What is Rory’s initial reaction to Michael? In what way are the two characters different? What is the significance of the hair gel scene in our understanding of their relationship? What is the revelation that cements their relationship in the first part of the film? The collection / pub scene: what does Rory give Michael that has been absent from his life so far? 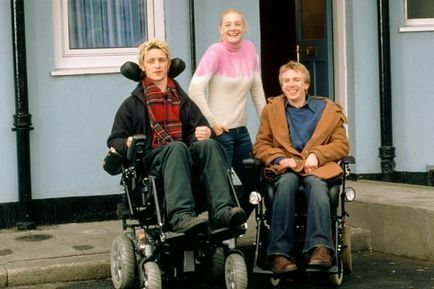 Describe what happens regarding the wish for independent living. How is friendship evident here? Rory tells Siobhan to ‘be careful’ before the fancy dress party. What does he mean by this? Why does he say this? What does Michael set about doing once he hears about Michael’s impending death? Explain what this tells us about his feelings for Rory. How has the friendship changed the lives of both Michael and Rory in the course of the film? Do you think this film represents friendship satisfactorily? I noticed in both X and Y that . . . This situation in X is very like the part in Y where . . .
Joe in X reminds me of Mary in Y where he says . . .
Joe in X reminds me of Mary in Y because they both . . . This way of thinking / behaving is typical of both X and Y. When we turn to Y again we see / find . . . However, in Y . . .
What a contrast to X where . . .
X differs from Y in that . . .
X shows us . . . whereas Y . . . This situation also crops up in Y, but things work out very differently . . . Although X and Y deal with a similar theme, X treats it tragically while Y plays up the comedy. X and Y deal with similar problems, but X’s world is very different from Y’s. In both texts, you see into the hero’s mind; in X this is done through first person narrative, whereas in Y . . .
X and Y both deal with . . . but they offer strongly contrasting points of view. These are pointers and suggestions only, but they should lead to useful comparisons within the modes, especially the final set. play more dramatic! Murder, war, witches, hallucinations, ghosts, sleep walking and even a touch of humour just for balance. The dramatic elements draw us in and compel us to engage with this play on many levels. The whole play is full of these dramatic elements, but even just examining one scene will provide a wealth of examples. Take, for example, Act 2 Scene 3 – often referred to as the Porter Scene. What makes this scene compelling and dramatic? effects of the previous night’s revelries, thus adding to the suspense. This is an example of pathetic fallacy – the weather / natural world reflects events that occur in the play. How dramatic is it when ‘strange screams of death’ can be heard on the wind at night? The lady even goes so far as to faint! Is this for the sake of appearance or has she begun to feel regret for her actions? That is left up to the audience to decide. However, there is no ambiguity in the fact that this is yet another dramatic moment in this highly dramatic scene. The scene ends with the dramatic exit of Malcolm and Donalbain – they furtively discuss together what their best option is and they agree that it is to run. They know that no one is to be trusted because ‘There’s daggers in men’s smiles’. There is no safety for them in Scotland. Since 1971, the awards have rewarded a wide range of excellent books and authors across all genres. The winners will be announced on Wednesday 4th January 2012. The following are some of the key points to note in the plot of ‘Hamlet’. The soldiers arre convinced that the ghost they have seen is real; they are expecting it to appear again and so the audience is prepared to accept the sight of the ghost. There is a state of unrest in Denmark. There are war-like preparations, ‘post-haste and romage in the land’. Hamlet suspects foul play even before he meets the ghost. We learn of Hamlet’s courtship of Ophelia. According to Polonius, Ophelia has been ‘most free and bounteous’ with her time and, according to Ophelia, Hamlet has ‘made many tenders of his affection’. By the end of Act 1, Hamlet is already struggling between his impulse to avenge his father’s death and his reluctance ‘to set it right’. Hamlet does not reappear until the middle of the second scene. His absence creates an impression of inactivity. We see how world-weary Hamlet has become from his description of his disposition to Rosencrantz and Guildenstern. Hamlet despises ‘tedious old fools’ like Polonius, just as he despises Rosencrantz and Guildenstern for their hypocrisy. Hamlet is full of anguish over his mother’s lack of grief at his father’s death. By the end of Act 2, Hamlet has thought of a plan to entrap the king and prove his guilt. In Scene 1 we have a direct admisssion of guilt from Claudius. 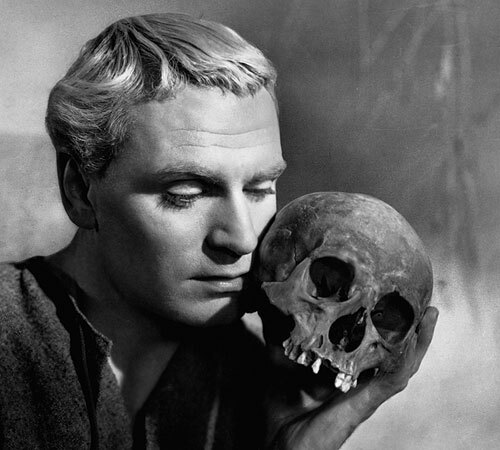 The perfect opportunity for Hamlet to turn his resolution into action is provide in Scene 3. Hamlet’s failure to seize the opportunity marks the turning point of the play. Hamlet strikes blindly at the figure behind the arras but in doing so he proves that he is capable of action. The killing of Polonius is to have very important consequences in the subsequent development of the plot. Although the ghost is not seen by Gertrude this does not necessarily mean that he is intended as a figment of Hamlet’s imagination. The Elizabethans accepted that a ghost could be visible to some and not to others. There is a sense of greater speed of action in the sequence of very short scenes in Act 4. Hamlet submits to the king’s plan to send him to England so he is not yet ready for action. Hamlet’s encounter with Fortinbras is extremely important as it provides him with a new incentive for action. The lack of cause in Fortinbras’ fight emphasises the very real cause for revenge which Hamlet has. Theere is a feeling of discontent in Denmark: ‘the people muddied / Thick and unwholesome in their thought and whisper, / For good Polonius’ death’. Laertes is now in the same position as Hamlet – if he does not avenge his father’s death he is not a loyal son. The alliance of Laertes with the King is a significant element in the plot as the King can now use Laertes to kill Hamlet. The tension of the previous act is momentarily broken as the grave-diggers indulge in jokes about their trade. Yet underlying the humour is the constant awareness of death. Ophelia’s death is part of Hamlet’s tragedy. It is the consequence of his failure to kill Claudius. 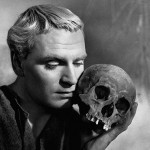 Hamlet fights with skill an courage and in the end does not hesitate to do what he knows to be justified. Before he dies Hamlet settles the matter of the succession so that Denmark may flourish once more as a land of law and order. A modifier is a word or phrase that describes something. A woman passed by, leading a springer spaniel in a long black dress. Hopping briskly though the vegetable garden, I saw a toad. My cousin went on and on, describing the details of her wedding in the elevator. The guide found the lion following its trail. John and Mary found the flowers hiking up the mountain. I found my missing gloves cleaning my room. Don’t try to pat the dog on the porch that is growling. The photojournalist took a photo of a demonstrator with a long lens camera. From our seats we could see the stage clearly in the balcony. The guest speaker had dedicated his book to his dog who was an archaeologist. I bought the red coat from the shop owner with the large pockets. Peering through the trees, the path was evident. The smoke alarm went off while cooking my dinner. A young woman knocked on the door wearing a suit and a hat. My mother found a parcel outside our house tied with ribbons. Covered in cream cheese, my friends will love these bagels. Reading a book, the cat crawled into my lap. The library has several books about dinosaurs in our school. We saw a herd of sheep on the way to our hotel in Wales. Dipped in cream, many people love fresh strawberries. I sent a poster to Jane rolled in a tube. While doing the dishes, a mouse ran across the floor. I gave olives to my friend that I stabbed with my fork. While typing my report, the keys jammed. While flying over the lake, the skyscrapers of Chicago appeared in the distance. Hamlet is fully aware of Rosencrantz and Guildenstern’s reasons for being in Elsinore and so he treats them with contempt and derision. He knows they are mere pawns of the king and so in his dealings with them he uses his ‘antic disposition’ at will. When, after staging The Murder of Gonzago, Hamlet manages to prove the Ghost’s story true, he is quick to attack them for trying to ‘play upon me’ and ‘pluck out the heart of my mystery’. The images Hamlet uses to expose the reality of these two men is very fitting. He calls them sponges ‘that soaks up the king’s countenance, his rewards, and his authorities’.